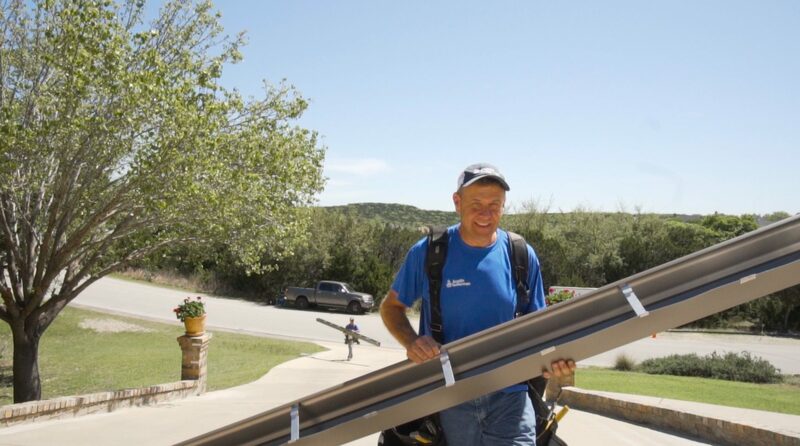 At Austin Gutterman, we want to make sure that you understand the steps we’ll go through for the Austin Gutter Installation process on your home. We understand that gutters can be one of the biggest investments you’ll make in terms of your home, and we want to make sure you understand why a set of seamless gutters from Austin Gutterman are the best option for your home. Our credo here at Austin Gutterman is to provide the strongest, longest lasting gutters on the market. Our gutters can look just like any other gutter, but we use stronger products and the best Austin Gutter Installation methods available. Doing this ensures you the best value for your money. With over one million feet of rain gutters installed, we’ve perfected the process of installing new gutters, but always keep up with technology to enhance what we do. That experience shows in each new Austin Gutter Installation that we tackle. Be confident that this experience will show in our work, because Austin Gutterman has a Master Installer Program in which each installer must work toward, through years of training, written and physical testing. Our experience with Austin Gutter Installation and channeling rainwater away includes many critical points that we can touch on. We measure the precise slope of your gutters to ensure the optimal rate of water flow toward your downspouts the keep your gutters from holding water and being weighed down. We calculate the precise location of downspouts for your system to keep water from pooling near your home and leading to foundation damage. We do Austin Gutter Installation so that we don’t expose every home’s wood to moisture. You can also be confident that Austin Gutterman uses the proper hardware so we don’t damage your home’s materials. Your home is the biggest investment you’ll likely make in your life. Trust that Austin Gutterman is dedicated to Austin Gutter Installation that will protect the value of your home. Contact us to schedule a proposal at www.austingutterman.com or call 512-450-1821 to speak with us today.